Campaigners say it is time to find out the truth about the contaminated blood scandal that left nearly 3,000 people dead, as the public inquiry begins. 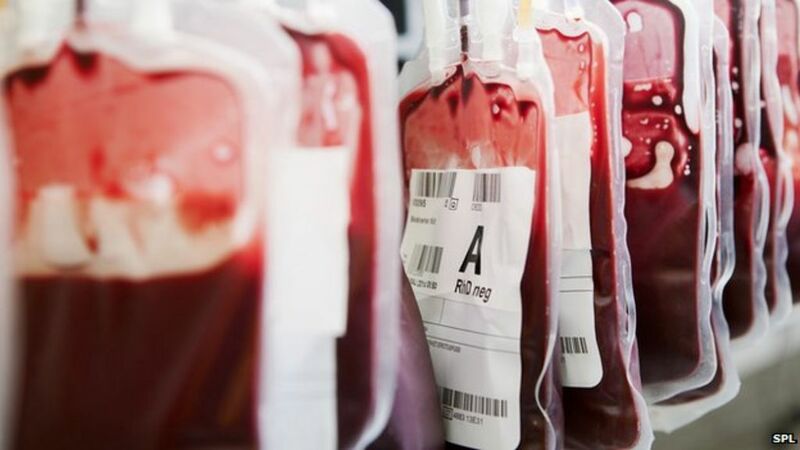 The inquiry is looking at how thousands of NHS patients were given blood products infected with hepatitis and HIV during the 1970s and 1980s. Many affected say they were not told of the risks, and there was a cover-up. This is the first UK-wide public inquiry into the scandal and witnesses can be compelled to testify. Liz Carroll, chief executive of The Haemophilia Society, said it must work diligently to “uncover the truth, bring justice and ultimately closure for victims and their families”. “This scandal devastated generations of people with haemophilia and other bleeding disorders. About 5,000 people with haemophilia and other bleeding disorders were infected with HIV and hepatitis viruses over a period of more than 20 years. This was because they were injected with blood products used to help their blood clot. It was a new treatment introduced in the early 1970s. Before then patients faced lengthy stays in hospital to have transfusions, even for minor injuries. Britain was struggling to keep up with demand for the treatment – known as clotting agent Factor VIII – and so supplies were imported from the US. But much of the human blood plasma used to make the product came from donors like prison inmates, who sold their blood. The blood products were made by pooling plasma from up to 40,000 donors, and concentrating it. People who underwent blood transfusions were also exposed to the contaminated blood – as many as 30,000 people may have been infected. By the mid 1980s the products started to be heat-treated to kill the viruses. But questions remain about how much was known before this, and why some contaminated products remained in circulation. Screening of blood prodcuts began in 1991 and by the late 1990s, synthetic treatments for haemophilia became available, removing the infection risk. Steve Dymond is now in his early 60s. He only had mild symptoms of haemophilia and led an active life. During the 1980s his health began to suffer. His muscles were sore, his joints ached and he was always exhausted. After going to hospital following a minor hand injury in the mid 1980s, he was told he had been treated with Factor VIII that had not been heat-treated. The concern was that he may have been exposed to HIV. At the time it took 18 months to get a diagnosis – a wait that his wife Su Gorman said “put their lives on hold”. He was given the all-clear, but in the 1990s was diagnosed with hepatitis C.
He is now clear of hepatitis C, although his health has continued to suffer. Two years ago he suffered a near-fatal stomach bleed, has suffered hearing loss and has a damaged liver, leaving him at risk of cancer. He said people have been “betrayed and lied to” throughout, with the government, health professionals and drug companies all guilty of trying to avoid responsibility. “It is difficult to try to imagine – even though there is a public inquiry – how they will be able to get past these walls of obfuscation,” said Mr Dymond. Why have an inquiry now? The government has been strongly criticised for dragging its heels. There have been previous inquiries. One was led by Labour peer Lord Archer of Sandwell, and was privately funded. It held no official status and was unable to force witnesses to testify or force the disclosure of documents. Meanwhile, a seven-year inquiry launched by the government in Scotland was criticised as a whitewash when it was published in 2015. Greater Manchester mayor and former health secretary Andy Burnham has repeatedly called for a Hillsborough-style probe into what happened. Mr Burnham claimed in the House of Commons last year that a “criminal cover-up on an industrial scale” had taken place. The government announced there would be an inquiry only after it faced a possible defeat in a vote on an emergency motion. The inquiry could last more than two years. Payments have been made to some of the people who were infected – the first fund was set up as long ago as 1989. But if the new inquiry finds culpability, it opens the door to victims seeking large compensation payouts through the courts. Sir Brian Langstaff, who is leading the inquiry, said Monday marks the start of something which several people had campaigned for over many years. He said there had already been more than 100,000 documents submitted, with the prospect of lots more to come. “There will also be many hundreds of witness statements. I am grateful for each and every contribution. Shared ownership: Problems halved or doubled?